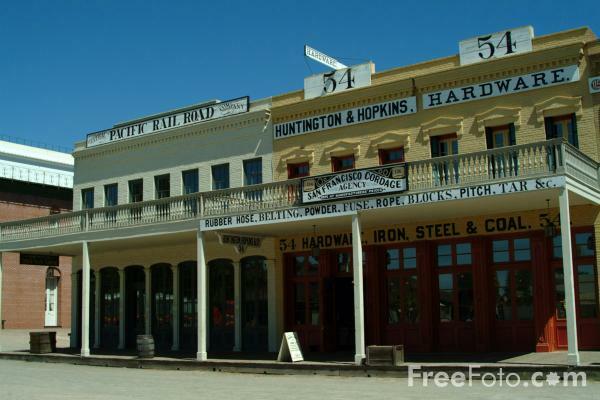 Photograph of Old Sacramento, California, USA. Old Sacramento is a 28-acre town of historic buildings, museums and monuments with wooden sidewalks, horse-drawn carriages, Pony Express monuments and Mississippi-style riverboats. VIEW: More images from the category Sacramento, California , USA or around the same time .